Known for building stunning active-adult communities nationally, Del Webb Chateau Elan is no exception. As an added bonus, the energy-efficient homes at Del Webb Chateau Elan are a part of Jackson EMC’s exclusive Right Choice™ home program! Homes at Del Webb Chateau Elan feature well-crafted, maintenance-free ranch designs with open spaces and thoughtful living areas, indoor and outdoor, that make entertaining a breeze. Starting from the high $200,000s, 10 home designs are available to choose from with one to five bedrooms, one-and-a-half to four-and-a-half bathrooms, optional lofts and two-car garages. Residents at Del Webb Chateau Elan are never short on things to do with community amenities that include leisure activities and a full-time lifestyle director. Future amenities include a state-of-the-art fitness center, community event lawn, indoor and outdoor pools, game and hobby rooms and sporting facilities. Additionally, because of the community’s ideal location, residents also enjoy convenience to championship golf, a European health spa and Northeast Georgia Medical Center. Further shopping, dining and entertainment are a short drive away via I-85. Right Choice homes, available at Del Webb Chateau Elan, provide guaranteed comfort to homebuyers in addition to being, on average, 20 to 30 percent more efficient than standard homes. * Homebuyers of Right Choice homes also enjoy two warranties for added peace of mind. The three-year Energy Usage Warranty guarantees cooling and heating costs will not surpass a forecasted amount whereas the one-year Comfort Guarantee pledges that each room will stay within three degrees of that zone’s thermostat setting. Supplemental savings come from Jackson EMC with its lowest residential rate to Right Choice homeowners, saving an average of 5 percent annually in energy costs! Del Webb Chateau Elan is located at 5575 Napa Ridge Road in Hoschton. Click here for complete community details or call 866-204-2324 to learn more. 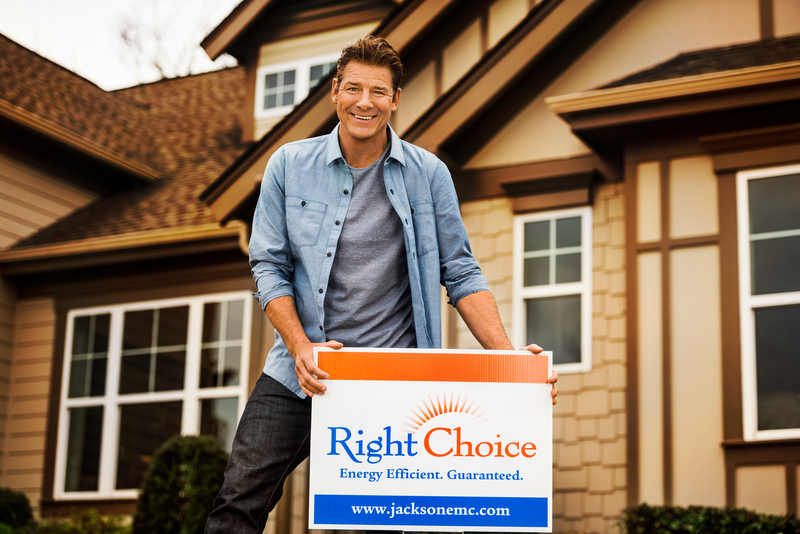 For information regarding the Right Choice homes program and participating communities, visit https://RightChoice.JacksonEMC.com.